Every now and then, you say that you want to pamper yourself with a spa treatment but you never find the time. You wait for a special occasion – a birthday, an anniversary or your next resort holiday – but things always come up and you forget about yourself. 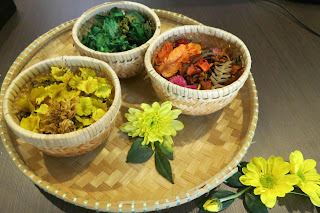 Now you don’t have to go away on holiday to enjoy spa pampering because Angsana Spa Nusajaya is nearby, tucked away in The Ledang Urban Retreat. Your experience starts the moment you step through the door. You walk into a welcome mist of fragrance, Lemongrass or another enticing aroma – the fragrance changes everyday – and are politely greeted by the gracious reception staff. As you fill your lungs with the refreshing fragrance, you begin to relax and settle yourself down to study the spa menu before you select a choice of treatments. Angsana Spa believes in inviting you to calm down sufficiently before you surrender yourself to the skilled hands of their trained and professional therapists. 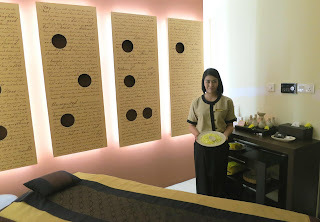 The highlight of the spa experience is the skills of your therapist and here, this is guaranteed by standards of excellence that are synonymous with the Banyan Tree brand. Another plus point is the assurance that the specified treatment time will be spent on your treatment because a separate 30 minutes are set aside for your relaxation and refreshments. The Glow package comes highly recommended as it comprises a 30-minute body polish and 90-minute body massage with additional 30 minutes for pre and post treatment relaxation. As you personalise your treatment with a choice of massage and body polish from the menu, bear in mind that the Angsana signature body massage is a popular choice while your skin can be renewed with the exfoliating properties of natural ingredients like crushed oatmeal and carrots! 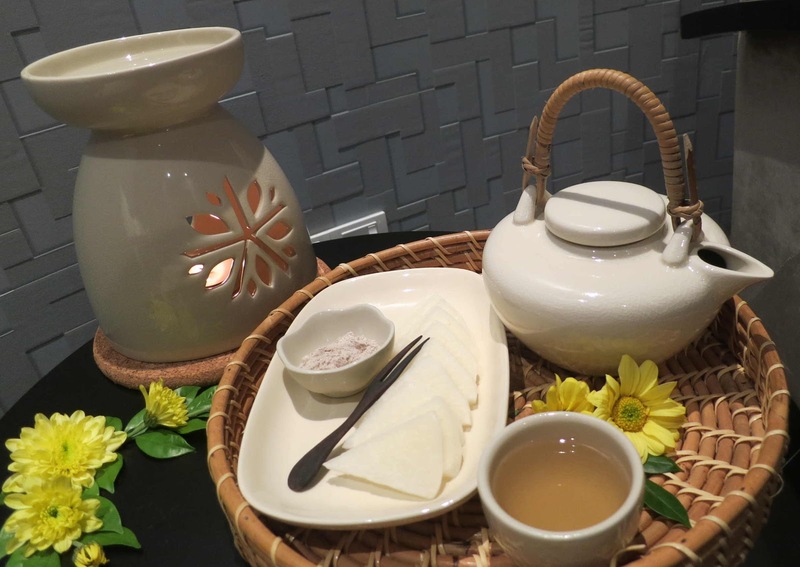 If you work in Nusajaya, it’s time to treat yourself to a range of 30-minute On-The-Spot rejuvenating massages that also come with 30 minutes for refreshments and relaxation. Busy executives can enjoy short treatments like Back Energy to iron out tired back muscles or the Head & Shoulders, an upper body massage to banish fatigue. If you have been on your feet for too long, try Foot Loose, an energizing leg and foot massage or relief your mental stress with an Indian Head Massage. Discover an oasis of refreshment in Angsana Spa Nusajaya where the professional touch of their trained therapists will even make first-timers feel at ease. Then indulge yourself regularly by taking advantage of a variety of treatments offered in 6 or 12 months promotional packages. Conceptualised, developed and managed by the award-winning Banyan Tree Spa, the Angsana Spa opened here last April with a contemporary, holistic and garden spa concept. cool slices of turnip with a side of condiment dip! 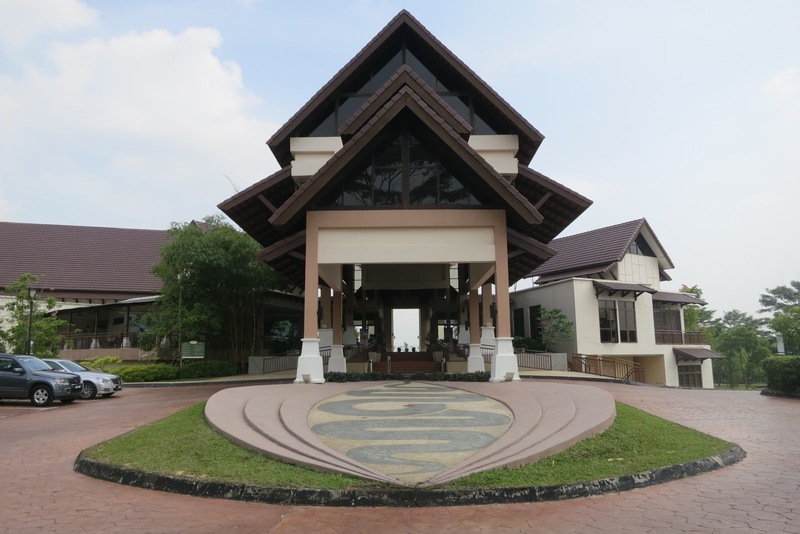 With more than 40 spas in its expanding chain with locations in Asia, Australia, Africa, China and Europe, Angsana Spa Nusajaya is open daily from 10am to 10pm. Fresh from her first solo exhibition that showcased a series of paintings entitled, “Back to Nature,” in the Old Street 52 Studio at Tan Hiok Nee Heritage Walk recently, Grace Lim, 45, scored a few more “firsts” when she participated in the International Women’s Day Art Exhibition from March 7 to 10 in Kuala Lumpur. Lim showcased oil paintings that featured her signature style of bold strokes, bright colours, cute faces and curvy figures. 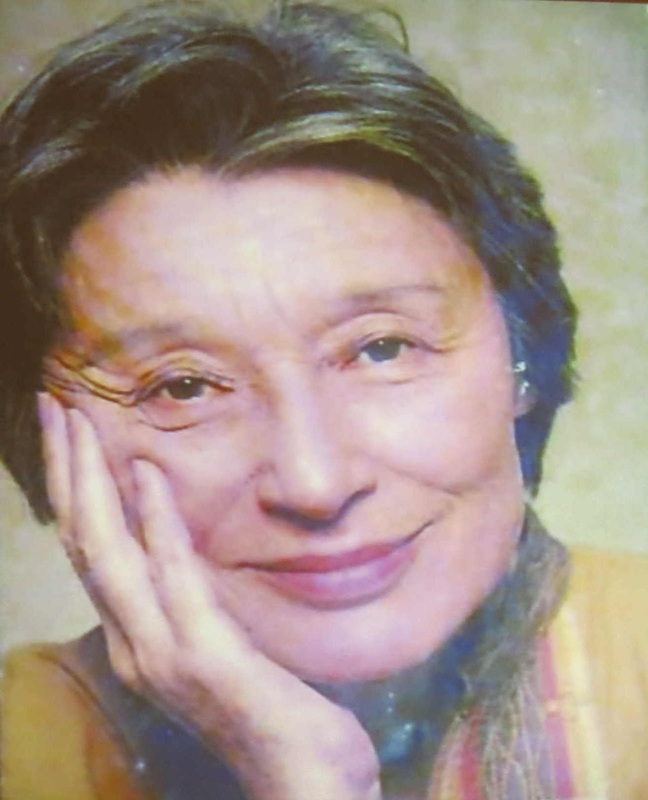 Her form of naïve art is characterised by simplicity in subject matter and technique, and influenced by her early impressions and experiences of village life. Inspirations from her childhood memories in Pontian married with a vivid imagination for an idyllic tropical paradise are expressed in her paintings. For Lim, the event was exciting and memorable on many levels. Not only was she a first-time participant but her work was singled out from all the others to be presented at the event’s opening ceremony to guest of honour, Tun Dr Siti Hasmah Mohamad Ali, wife of former Prime Minister Tun Dr Mahathir Mohamad. “It really made my day,” said Lim as she relived that proud moment when she presented her oil on canvas painting entitled, “Tea Time” to Tun Dr Siti Hasmah. Spurred on by this special experience that followed closely after her successful first solo exhibition in JB, Lim is ready to expand her collection and continue with commissioned work. I first received an invitation from Dr S. Shanmugam to be his guest at their Ladies Night, a special event of the Rotary Club of Johor Baru dedicated to the memory of Han Suyin who passed away in Switzerland on 2 November 2012. When I received a second invitation to the same event from Dr S. Sivamoorthy, I had to rush from an earlier event to get there on time. 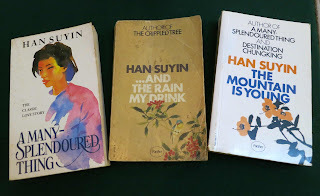 These past presidents of the Club must have read my piece on the Han Suyin connection with Johor Baru and felt that their event would also interest me – and they were right. 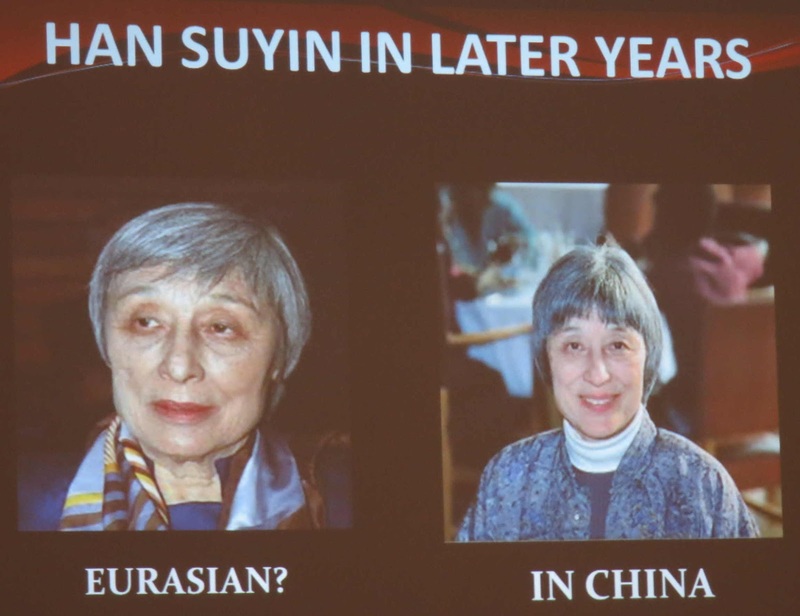 As Dr Shan introduced Dr Elizabeth C K Comber or Dr Chow Kuanghu (Zhou Guang-Hu), who’s better known by her pen-name and alter-ego, Han Suyin, the audience learnt more about this Eurasian lady doctor who lived in Johor Baru for about 10 years. 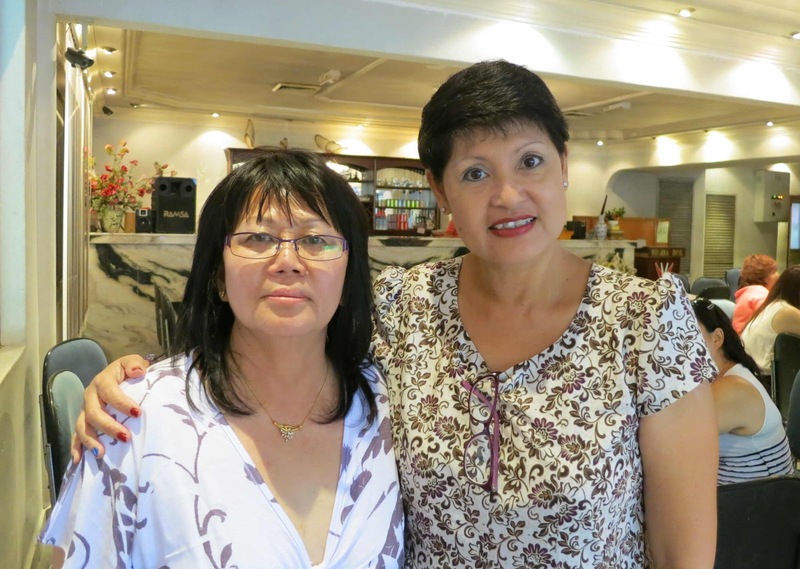 He shared some interesting insights into her life in JB, how she was acquainted with some of their members and a frequent visitor at Club meetings. She was an exciting and intriguing personality and I was not surprised that most of her ardent admirers are men! The presentation was made more interesting with visuals that Dr Shan compiled from his personal collection and pictures he borrowed from others. As he continued his commentary on the next slide, I recognised that Black & White photo of my aunt who worked with Universal Pharmacy where Dr Comber had her clinic upstairs and did not hesitate to correct him. It was a rare photo of the pharmacy at No. 24 Jalan Ibrahim and when he borrowed it from another source, Dr Shan was unaware that it belonged to me. I appreciate the opportunity to clarify this miscommunication as the audience must know that the young lady in the photo is my Aunt Polly and not Dr Comber! 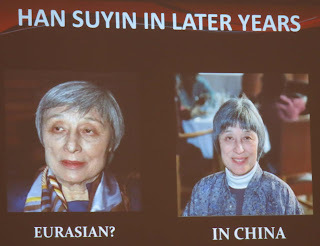 Other than this little hiccup, I enjoyed the presentation that traced the life of this doctor with a passion for writing mostly autobiographical fiction and non-fiction and who published many volumes that recount most of her life and family and China, her beloved country of her birth. I don’t know about Dr Shan and other fans of Han Suyin, but I am fascinated that she used to live in Johor Baru in the late 1950s and had a medical practice here. 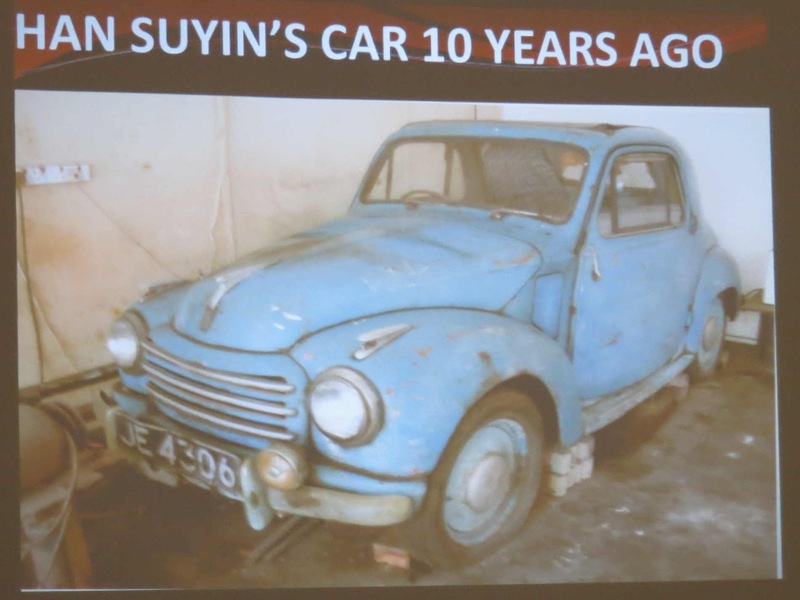 She lived in a bungalow along Jalan Inderaputera, drove a Fiat Marvellete, registration number JE 4306, and often hosted guests for dinner and drinks at the Johore Hotel just five minutes from her house, which she thought was an “excellent” place. 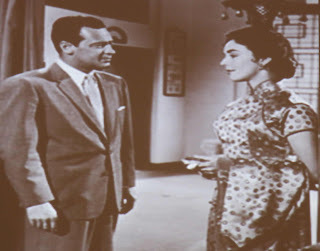 A scene from "Love is a Many Splendoured Thing"
She became famous almost overnight with the film “Love is a Many Spendoured Thing” based on her novel, “A Many-Splendoured Thing” about her affair with another woman’s husband in HongKong and in her third book “…And The Rain My Drink,” she was not only bold but very brave to write against the British military operations in Malaya during the 1952 to 1956 Emergency. Excerpts from this book, first published in 1956, were read aloud in the presentation and I was captivated by how she described the Johor Baru of yesteryears. Her writing style is rather convoluted by modern standards but her words are so picturesque that they compel readers to visualise her characters and scenarios! The opening line of the first chapter reads: “Peacocks as comets catapult across the tarmac road in a tail-flurry of blue-green and gilded palm-frond feathers, to drop staggering, clutching, swinging their meek sharp heads upon the wire fences which ring the Sultan’s Zoo.” This vivid description gave me a sharp visual of the state zoo along Jalan Gertak Merah, now renamed the Johor Zoo. While the ancient fences may have been rebuilt, there are still some relics left standing on the side that faces Jalan Skudai. "arrow-spending cherub" statue is seen above my head! The reading of brief excerpts whet my appetite for more and made me scan my copy of “…And The Rain My Drink,” to discover more of her charming descriptions of Johor Baru. 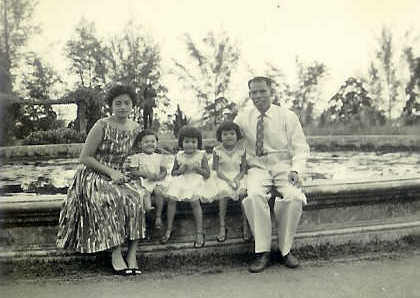 It was thrilling to read, “In the Sultan’s gardens the verdigris statue of an arrow-spending cherub springs from the centre of a water-lily pond where stagnate black-scaled timorous fish.” In my childhood, the Sultan’s gardens – fondly called Istana Gardens – was one of our family’s favourite leisure parks where we posed for many family photos and while it is now closed to the public, I just hope this water-lily pond with the “arrow-spending cherub” standing in its centre, will be preserved when the park reopens. Another picturesque narrative read: “In the hollow by the bridge which spans a rank, weed-overgrown canal, pullulant with miniature silver minnows flashing coral dots along their flanks, lies the sonorous prison, whose glistening wall tops are embedded with glass chips.” It is exciting that Han aptly described our infamous Sungai Segget as the “rank, weed-overgrown canal” and exercised her literary license to link it with the “sonorous prison” located along Jalan Yahya Awal, a fair distance away. This struck a familiar chord because I recently researched material to write on “The Great Wongs of JB” (NST Life & Times, 7 Feb 2013), and learnt that Wong Ah Fook was awarded the contact to build JB Prison in 1882 according to the design by Sultan Ibrahim ibni Sultan Abu Bakar. Are you 40 this year? Were you born on 27 June 1973? It’s the birthday of the Singapore Zoo and if you share the same birthday, then you should be their 40th Birthday Buddy and join the Singapore Zoo Birthday Bash to enjoy an exclusive tour with a zoo pioneer. To commemorate its 40th birthday, Singapore Zoo is rolling out celebratory activities from now till the end of the year. All who turn 40 in 2013 will also enjoy 40% off ticket admission prices along with four friends when they visit the Singapore Zoo during their birthday month. The fun kicks off with the 40th Birthday Bash Zoo Hunt over the March 16 – 17 weekend for the young and the young at heart. Participants in this exciting hunt will complete a trail that will take them through some of the Zoo’s most notable sites and exhibits. “Turning 40 is a time for us to reflect and look ahead. We have learnt much along the way and grown with our visitors who have come to appreciate and recognise our efforts in conservation, education and recreation,” said Claire Chiang, Chairman of Wildlife Reserves Singapore. “We hope, in our way of striving to provide exciting and meaningful experiences, we have managed to inspire in our visitors, an appreciation of nature and wildlife,” she added. 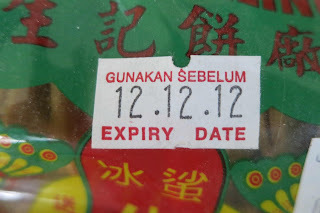 Are they imitating the orang utan, or is it the other way around? 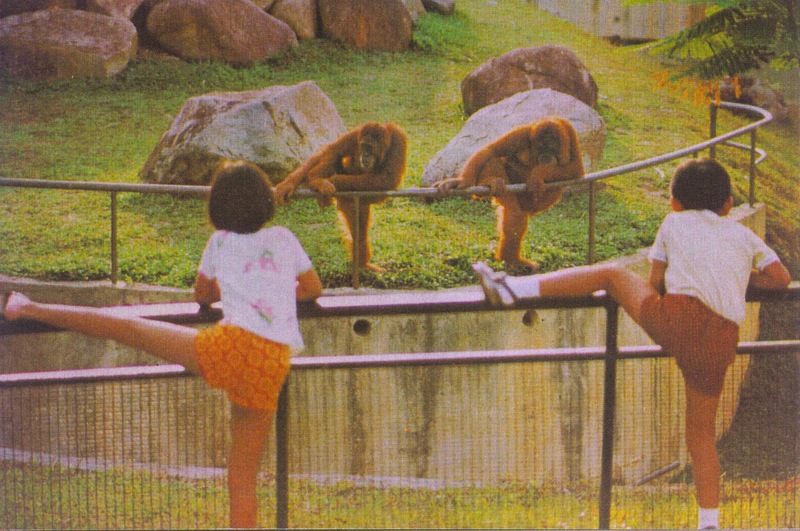 Since the 1970s, Johor residents have joined millions of tourists to enjoy recreational and educational day-long visits to the Singapore Zoo. It is an evergreen destination which many visitors discovered as children with their parents or in school excursions and have made repeat visits as parents with their families and again as grandparents with their grandchildren. 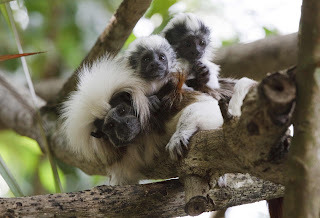 The coming school holidays are an excellent opportunity to continue the tradition of introducing children and even grandchildren to the wonders of wildlife in the Singapore Zoo. 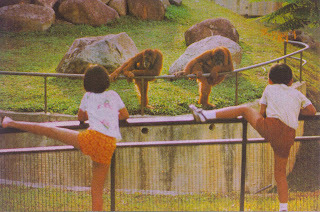 Generations of visitors have walked the paths of Singapore Zoo, enjoying its icons like Ah Meng, a Sumatran female orang utan, who had breakfast with dignitaries and celebrities like Prince Philip and Michael Jackson. In 1992, she was the first non-human recipient of a Special Tourism Ambassador award from the Singapore Tourism Promotion Board. This poster girl of the Singapore Zoo, featured in travel films and more than 300 articles, died of old age in 2008 but her legacy lives on in her offspring. So if you were born on 27 June 1973, email to corpcomms.szg@wrs.com.sg for your invitation to the special Singapore Zoo Birthday Bash and exclusive tour. For more info and latest updates on the 40th anniversary celebrations, visit website: www.zoo.com.sg or Singapore Zoo’s Facebook page. 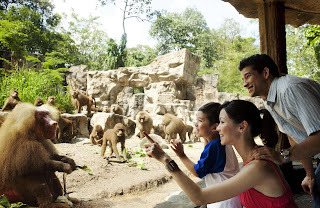 Wildlife Reserves Singapore (www.wrs.com.sg) is the parent company of award-winning attractions – Jurong Bird Park, Night Safari, Singapore Zoo and the upcoming River Safari. Women, as we know, have a higher threshold for pain and my mum in particular, is a “super woman” who has endured much physical pain without complaints. When I saw how she clasped her arm and writhed with pain, I knew that it was seriously painful. Watching mum in pain made me feel terribly helpless because it is impossible to gauge another's pain or do anything to help alleviate it. Pain is highly subjective but if you have experienced any kind of pain from pounding headaches, stomach spasms, sensitive gums or the ultimate pains of childbirth, you will understand the urgency to be free from that persistent pain. There may not be an instant relieve but any form of relieve is welcome. To the sufferer, it does not matter if the relieve came from traditional or modern medicine, mainstream or alternative therapy, but as long as there is relieve from the horrific pain. Mum used to balance a career in midwifery with managing home and family and when she shared with us, interesting anecdotes of difficult childbirths in challenging circumstances, I got a clearer picture of her experiences. Physically, her job entailed a great deal of squatting, bending and lifting, often in awkward positions, especially when her patients in the kampung delivered their babies, lying on floors. Mum was stressed because she had to handle two or more lives in medical emergencies without assistance as most homes didn’t even have telephones then. Every time my parents have a health issue, they have the liberty to decide on where to go and who to consult for their ailments. 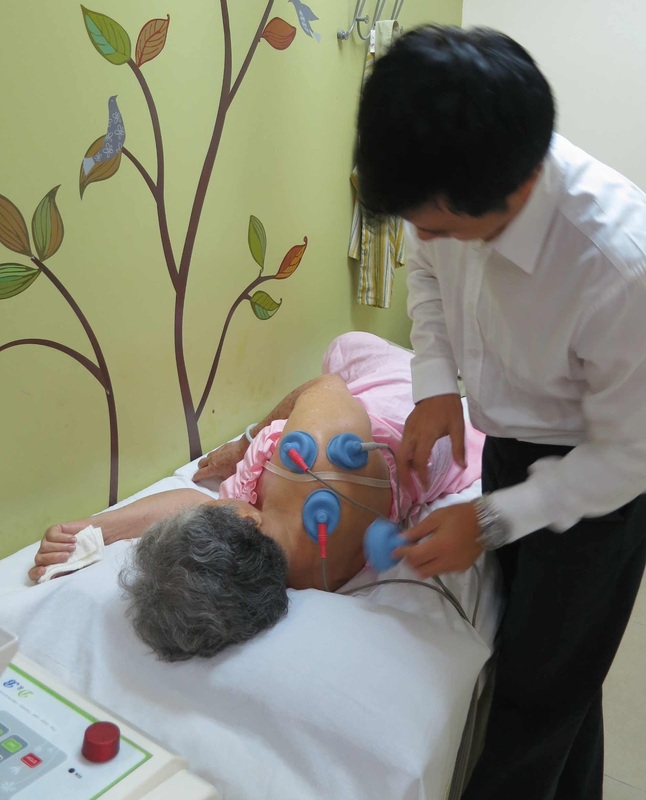 After all, Johor Baru now offers a wide range of health care options that range from public to private hospitals as well as alternative therapies in Traditional Chinese Medicine (TCM) clinics, acupuncture and Korean Hi-Tech Pain Treatments. 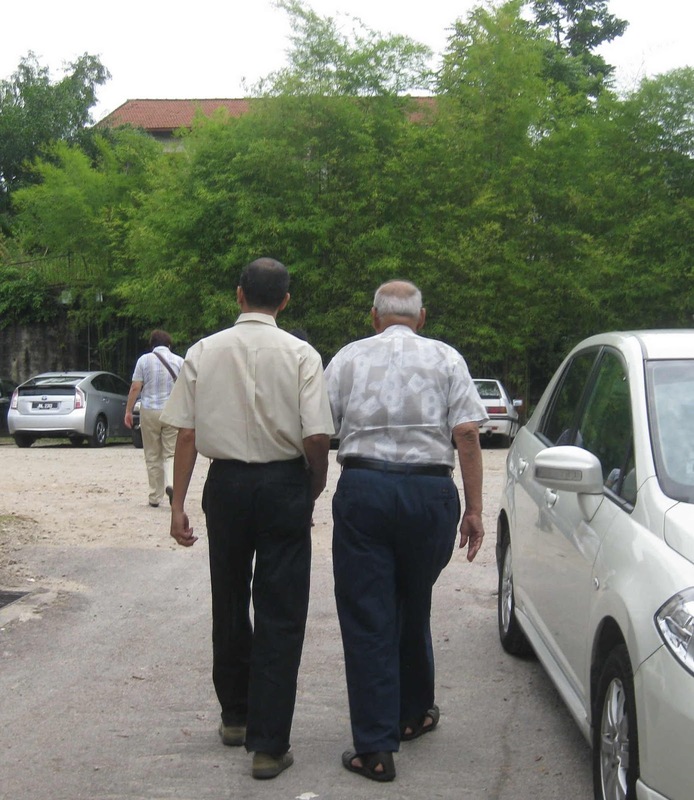 Since they are Government retirees from the Health Department, mum and dad have regular appointments and consultations with the various clinics in Hospital Sultanah Aminah (HSA). With the introduction of computerisation in its patient administration, HSA returned the patients’ files to them and now the onus is on the patient to bring along his or her stack of cards to each appointment for the doctor’s reference. HSA also offers a SMS or Short Message Service facility for patients' convenience to collect their monthly batch of medicine. While this system is designed to cut out waiting time for medicine collections, it still entails travelling there and finding a parking spot if you drive, so I decided that I might as well join the queue to pick up my parents’ routine prescriptions according to their given schedules. 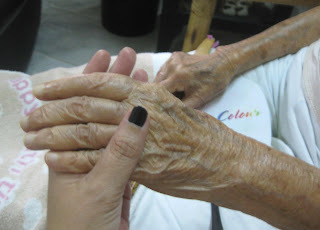 With their advancing age and physical deterioration, escorting my parents to various doctors and therapists for consultation and treatment is now a way of life. By now I'm familiar with mum and dad’s aches and pains that may range from slipped discs, sciatica to cervical spondylosis and they have gone through various treatments like total rest in bed, traction as well as wearing a neck brace. I must say that they manage their pain well and recently, dad has even been convinced to apply a liniment rub to help relieve the aches on his aged knees. ﻿In one day, I may shuttle from one clinic to another with either one or both my parents – from dental, cardiac, ophthalmologic or orthopaedic treatments – and accompany them to visit aged friends and relatives warded in the Johor Specialists Hospital, Putri Specialist Hospital or HSA. 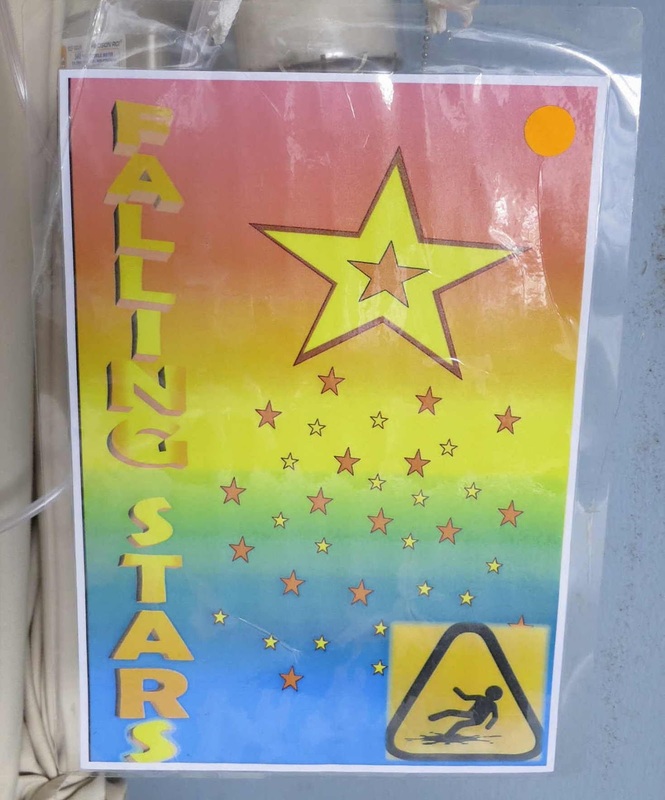 At a recent hospital visit, I observed a nurse hanging up a colourful sign with the words, “Falling Stars” emblazoned across it and learnt that it was a symbol to remind nursing staff that this patient was weak and had falling risks. 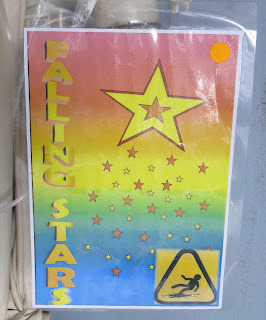 While it was a dignified way to communicate vital info to other staff who worked in changing shifts, it also reminded me of the frailty of the aged and the fragility of life. During this year’s Chinese New Year visit, I saw how much some of our elderly relatives have aged even though I just met them at our parents’ 80th and 90th joint birthday celebration last October. As the younger generation kept the tradition of paying respects to the elderly in reunions and festive visits, I felt there was indeed every reason to celebrate life and family togetherness. With obvious deterioration in physical and mental alertness, I observed that some of our elders needed help to walk and to get their food minced before they could savour the festive feast! We cannot turn back the clock and the “Fountain of Youth” is but a myth so advancing age is inevitable. As we see our parents and elders grow frail and more dependent, the roles are now reversed and it is now our turn to let them lean on us and help them enjoy their twilight years with a measure of good health. We may not be able to prevent our elderly from aging but we can change our attitude towards them by being more caring and considerate as we help them grow old gracefully. 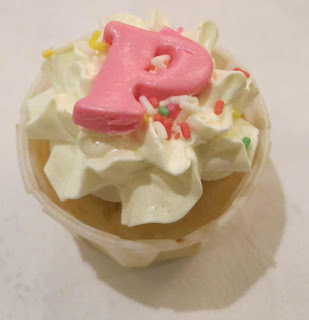 Two years ago on 11 March 2011, my blog went “live.” It is an easy date to remember because it coincides with the day of the double catastrophe that hit Japan with a horrific earthquake and tsunami. As a toddler, I’m still taking baby steps to develop my blog at a slow and steady pace, aware that My Johor Stories is attracting readers who read and truly appreciate my stories. I enjoy receiving comments from readers and it never ceases to amaze me that my stories have impacted them in some special way. Readers respond in different ways: some post their remarks on that subject while some tell me about their plans to visit a particular destination – a restaurant or a museum – that interests them. There are yet others who wrote me with weird queries about buying products like ceramic plates (Johor’s Claytan Ceramics) and even an ice shaving machine (Tropical Treat)! Readers also write me on my blog’s Face Book page and I had some interesting interactions with some of them. I’m glad that the credibility of my stories has encouraged readers to write me and I’ve been privileged to connect people and draw families together. Time flies and the much anticipated December 12, 2012 came and went uneventfully but 2012 was certainly the tipping point for Iskandar Malaysia. 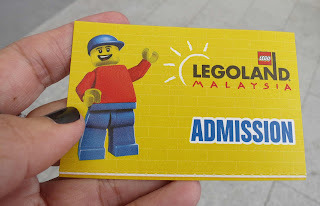 When Legoland Malaysia opened in September 2012, I was privileged to be among the first to experience the excitement of an international standard destination in Johor. It’s exciting that friends and relatives in Kuala Lumpur are organising their holidays in Johor Baru for the children and grandchildren to go to the theme parks while senior family members enjoy a nostalgic tour of the museums here. As education establishments, development projects, private hospitals and theme park attractions are opening here, I’m told by hotelier friends that hotels in Johor Baru have been running full-house during holidays and on weekends! This really augurs well for Johor’s economy as more visitors pour in from across the causeway and the region. While I discover more exciting destinations locally and abroad, you can be assured that these will be posted with lots of photos for your reading and viewing pleasure. Food is always a passion and one thing readers are going to notice in my blog is more posts on non-Halal food. 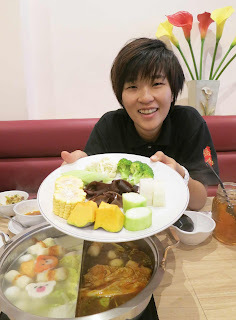 In fact, I have already started with Sumptuous Steamboat and a Taste of Taiwan in Kulai. 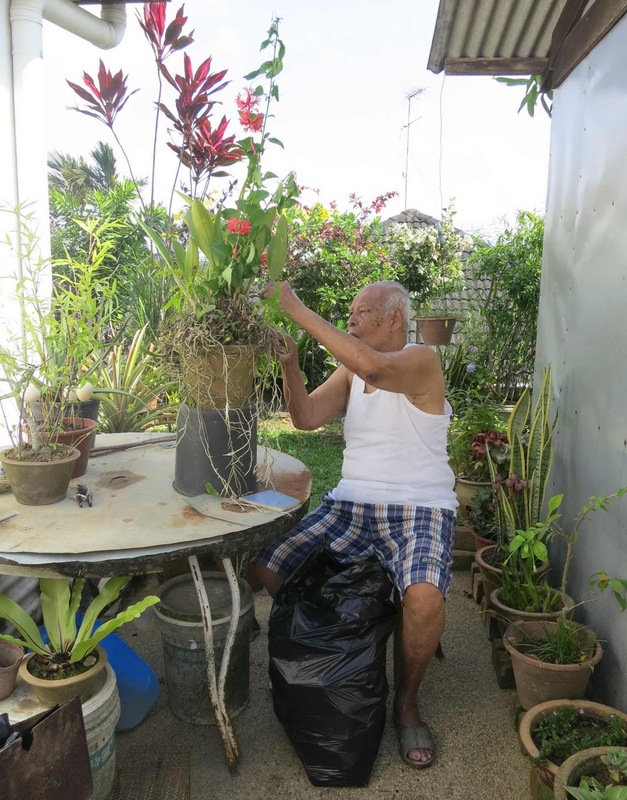 This Johor Storyteller is sniffing out more stories on the families involved with serving delicious food and plans are afoot to reorganise my food posts so that readers can access them easily. As my blog turns two, this and other changes are going to happen but it’s all good. So carry on reading My Johor Stories! I’m familiar with Kulai’s reputation for good food as I enjoyed steamed pau from here as well as Hakka Harm Cha in nearby Kelapa Sawit. As a driver I must focus on the heavy traffic and may not pay much attention to the shops that line the main road when I pass through Kulai so I must be forgiven for not noticing No. 79. But now with Evelyn as my navigator, I slow down and turn off beside the block of shops to an open car-park in the rear before finding our way to the main road to GuoMa Taiwan Steamboat restaurant. Built in 1962, this row of double-storey shops has a quaint corner coffee-shop that is still serving customers as a traditional kopi-tiam. Evelyn, a regular here, is aware of its popularity and to avoid disappointment, she had made a prior reservation for us. As we were shown to our table, I looked over my shoulder at the main road where vehicles were whizzing pass to remind me that we are actually in Kulai. I admired the modern fixtures in the tasteful décor and when my eyes fell on the charming porcelain replica of a traditional Taiwanese hawker stall and a stack of Taiwanese beer on the counter, I was convinced that this is a little bit of Taiwan in Kulai! 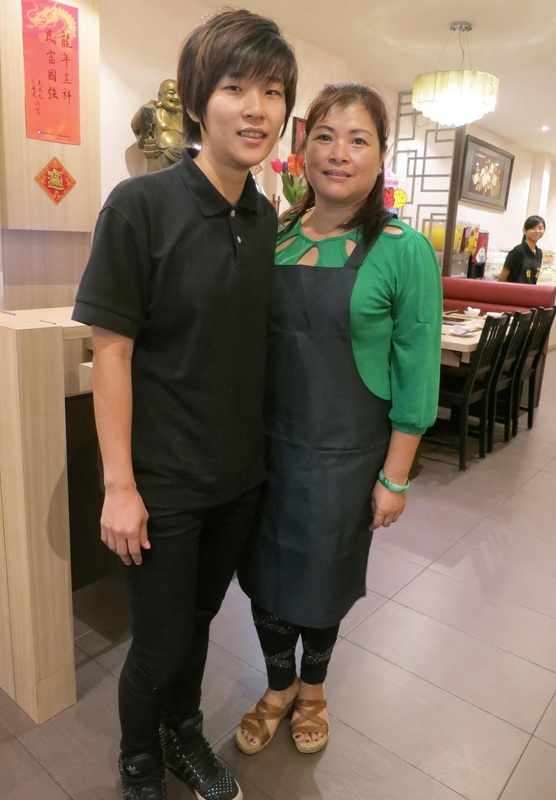 “Guo means “cooking pot” in Mandarin and GuoMa simply means, my Mama’s Pot,” said Macel Chai Ven Chee, the young proprietress who had been operating GuoMa Taiwan Steamboat since January 2012. The eldest of three Hakka siblings, Chai has the support of her parents to start a food business in this shoplot that belonged to their grandfather. While she learnt the tricks of the trade from her uncles who run a chain of popular Taiwanese hotpot restaurants in Taipei, the business concept in GuoMa is the brainchild of Chai, who is also a Business Management graduate. When her mother, Chiang Shu Lan, visits from Taipei, she lends a hand in helping to prepare the soup stock and hand-making Taiwanese sui chiau, little dumplings stuffed with chopped cabbage, chives, spring onions, minced pork and ginger sauce. GuoMa serves an array of 76 items in a steamboat buffet that includes Lu Ro Farn or braised meat rice, leafy salads, noodles, a selection of meats and fish-balls, Taiwanese sui chiau, dessert and drinks. You just pick your choices from a list on the table and are welcome to repeat your order countless times on any of your favourite item/s but be sure to finish everything you ordered! A typical selection is served in a space-saving 5-tier rack of plates filled with fresh ingredients like chunks of pumpkin, sweet corn and radish to boil in the soup, dried beancurd and noodles, a range of mushrooms, fresh prawns, fish and cuttlefish, and sliced meats. Fresh meat like beef sirloin, tenderloin and marbled pork are sliced and served upon receiving the orders. 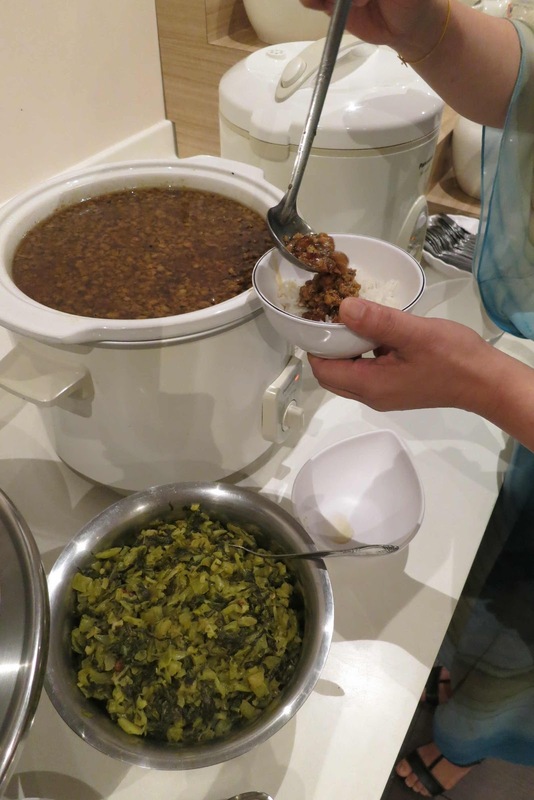 Evelyn picked two soups and a pot with her yin yang choice of clear soup and mala soup was served on the induction cooker that is neatly built into the table. 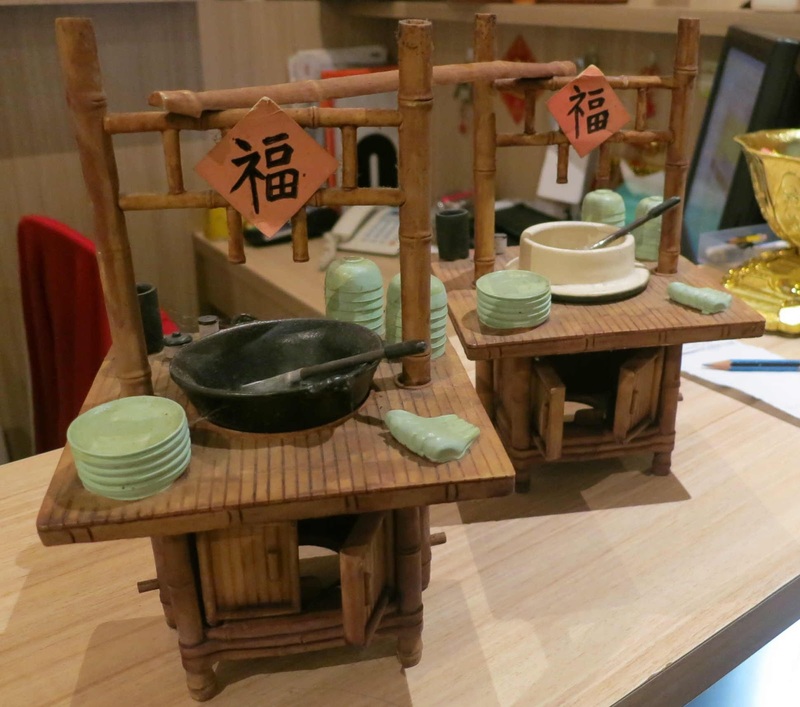 While the clear soup is made from a slow-cooked blend of chicken and pork bones, their traditional mala soup is created from ingredients imported from Taiwan. The word, mala, aptly describes the soup in a combination of two Chinese characters: ma for “numbing” and la for “spicy hot” and that’s how your mouth may feel after tasting too much of the soup. It’s the Szechuan peppercorn mixed with chillie peppers and various spices, simmered in oil that gives the mala soup such an interesting spicy and savoury taste which is both numbing and often addictive! 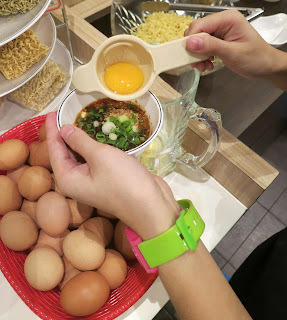 While waiting for the soup to boil, Evelyn showed me how to create the dip sauce. She confessed that when she first saw ground roasted peanuts among the condiments, she was skeptical about how the sauce would taste. But after her first taste of their signature GuoMa sauce, she was hooked! Just select your choices from porcelain jars arranged in rows that contain: [Top Row Left to Right] dark vinegar, white vinegar and sesame oil, [Centre Row Left to Right] soy sauce, minced garlic and ground roasted peanuts, [Bottom Row Left to Right] minced red chillie, Taiwan Sar Cha Chiang – preserved Huangdou or yellow beans barbecue sauce, and chopped spring onions. When you have filled your sauce bowl with your choice of condiments, there’s just one more item to add. Crack one fresh egg into a little strainer placed over a glass jug to drain off its whites before you gently slide the egg yolk into your sauce bowl. This is indeed an interesting combination of flavours that tastes as good as it looks. Mix well to create a creamy blend of your unique spicy and savoury GuoMa sauce! Next, Evelyn introduced me to Lu Ro Farn or braised meat/pork rice, a comfort food to line our stomachs as we savour our Taiwanese steamboat meal. There are three simple steps to prepare your own portion of rice. First, fill your bowl with a small scoop of steaming hot white rice (eh, remember to save space for the steamboat!). Then use the ladle to dig deep into the pot of meaty gravy to dish up a balanced measure of meat with gravy to pour over the rice. Finally, sprinkle chopped salted vegetables over the mixture. Give it a good stir to mix well before you savour the blend of fragrant flavours! Yum! By this time, the soup is ready for cooking and we added platefuls of fresh ingredients, layer after layer in the 5-tier stack of food into the pot. One of their signature items is beef tenderloin that (I was told!) 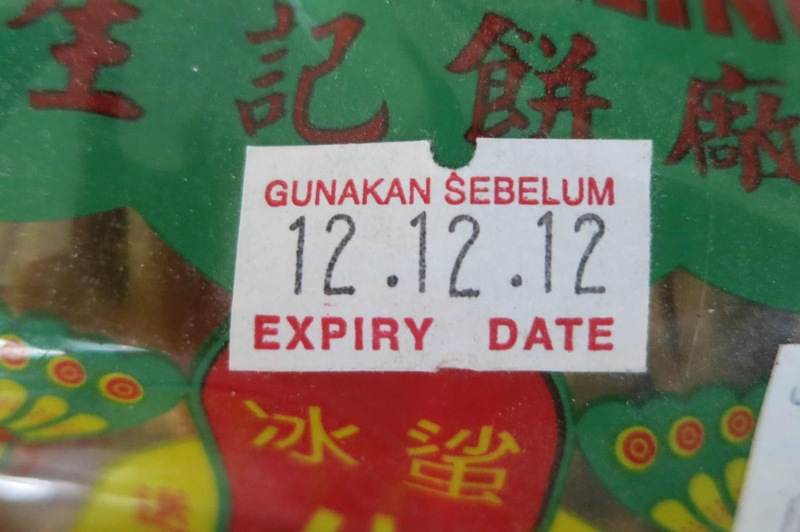 should be savoured after being dipped in steaming soup for just 12 seconds! 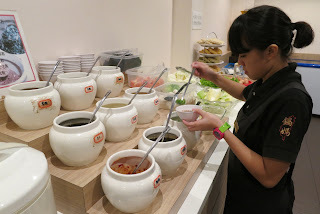 I enjoy it most when the clear soup turned rich with meat and vegetable stock but I’m careful to sample a taste of the mala soup to keep my tastebuds “awake” and ready to taste the wide array of items in the buffet. Meanwhile, look out for cubes of Tong Tofu or frozen beancurd that are boiling in the mala soup and approach it with caution because when it is soaked in the spicy soup, you may experience an explosion in your mouth when you chew into it! Chai said GuoMa regulars usually come in after 9pm to enjoy a leisurely meal and eat well into the night. They seem to appreciate the dining concept where they pick their own items to eat as much as they want and have more of their favourites. She said homesick Taiwanese dine here quite often and some regulars even add the Taiwan Sar Cha Chiang, provided as a condiment, to the clear soup to create a familiar flavour! We are almost up to our ears with food but the meal is not over until we tasted the sweets. There is a daily choice of dainty homemade cakes and puddings in a variety of flavours like mango, honeydew, pandan or beancurd. So as Evelyn helped herself to her favourite chocolate ice-cream, I cooled my tongue with a wobbly honeydew pudding. 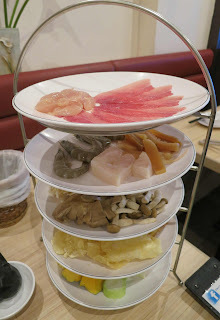 Non-halal GuoMa Taiwan Steamboat restaurant at No. 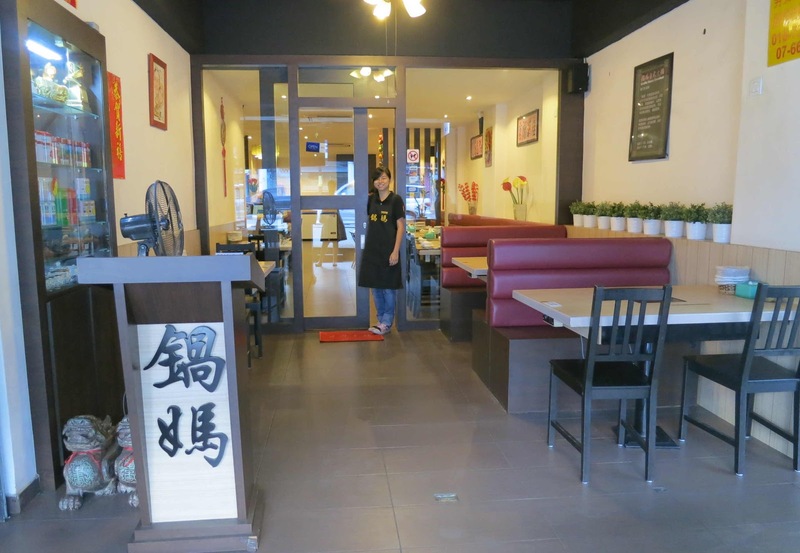 79 Main Road, 81000 Kulai, Johor, is open daily from 3.30pm to 11.30pm. Prices are RM29.90+ per adult and RM15.90+ per child. Their upstairs section is open on Saturday and Sunday to accommodate the weekend crowd and to avoid disappointment, make your reservations by calling Tel: 607 – 662 6868, Fax: 607 – 663 4703. “Dear Peggy, I live in Seattle and am the husband of Lee Lang Aw, the youngest of the Aw children. I last visited and lived at the Aw property about 20 years ago. Before that too I spent many weeks/months there. It was fun to be in the middle of this big rambling property. I was allowed to do whatever I felt like - make sculpture, build ponds, even paint the house just for fun, and explore the huge property. It was idyllic. The Aw family is unique. A big family, the Aws was three generations living together in one huge house. Somehow everyone got along and each took upon themselves whatever job was necessary. Getting together for meals (many meals, I seem to remember) seemed to be the main duty of everyone in the family. Lots of talk at the table and since I did not speak Teochew I could only listen. Sometimes I thought the family was fighting but it turned out they were just chatting. The restaurant there was fantastic. I loved the wild-boar stew and even their sandwiches were delectable. Food, of course, was everywhere, and on the Machap road you could stroll out for breakfast for some delicious Roti Parata and Kopi-O. 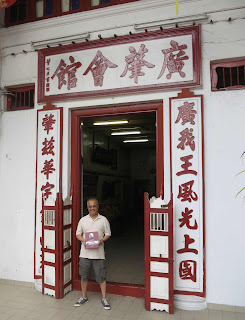 A reader, Siva Prasann Krishnan said: “Hi, I have many happy memories and pieces from AW pottery when I lived in Johore. 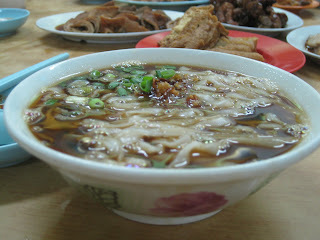 I used to live in Kulai after my marriage and later in Kluang, so our journey home to JB always meant a stop at AW. AW was Awesome. Late last year, I received an email from Aw Pottery USA asking for my cell phone number because Elaine Aw wanted to get in touch with me. Elaine was planning a trip back to Kluang for her class reunion and while she was in Johor, she wanted to meet me. After exchanging emails, we spoke and agreed to meet on January 12. When I picked her from the Prime City Hotel in Kluang, it was the first time we met but it was like meeting an old friend! 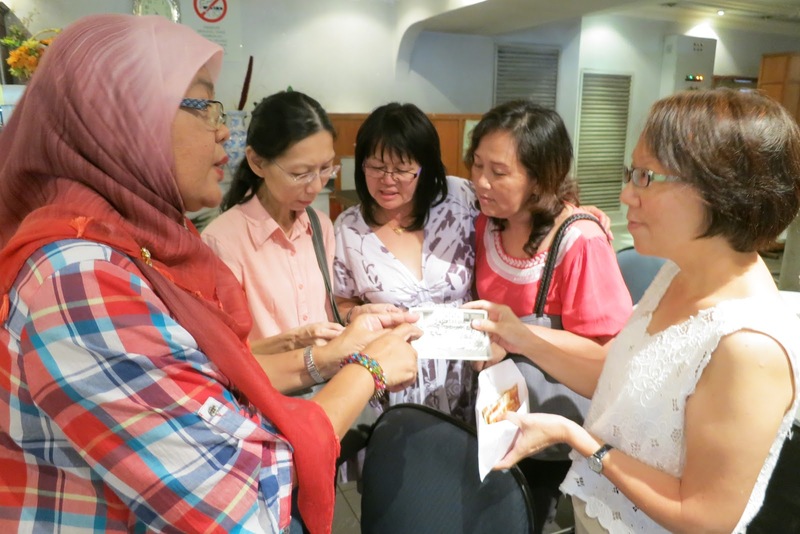 Elaine and her classmates from the Kluang Connosian Convent had planned a day-long reunion lasting from lunch to dinner followed by karaoke singing. I’m familiar with class reunions and as always, the girls greeted each other with great enthusiasm but when they saw me, they paused – unsure and puzzled because they do not remember me from their class! I quickly clarified that I’m Elaine’s guest and not from their class, and I saw the relief on their faces because they were glad their memories were not failing – yet! Needless to say, I’m simply thrilled! It looks like my article not only connected me with members of the Aw family but started a chain of events that may bring them back to Johor. Whatever it is, I’m so looking forward to what the Aws are planning and see a new era of Aw Pottery here soon! As always, the Travel Editor will direct such mail to me and she sent it with a brief but encouraging note: Hi Peggy, Over to you. It’s a great article! 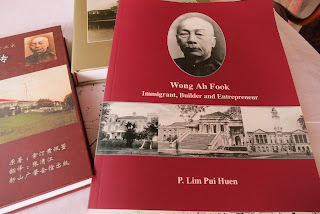 From my email correspondence with Peter Cheong, I discovered that he is a great-grandson of Wong Ah Fook. He turned up in JB on 5 March and when I picked him from his hotel, once again, it felt as if we were old friends. First, I took him to savour some food that’s unique to JB and I’m glad that he enjoyed his meals. 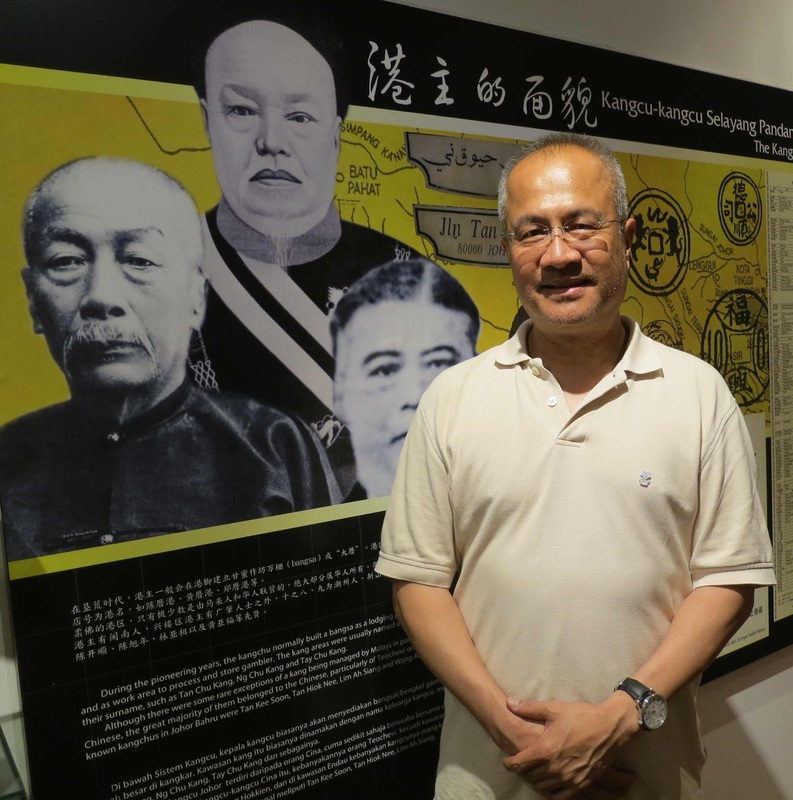 After visiting the Kwong Siew Heritage Gallery and the JB Chinese Heritage Museum, Peter declared that he learnt a great deal more about his ancestry in this day’s visit than in his entire lifetime! 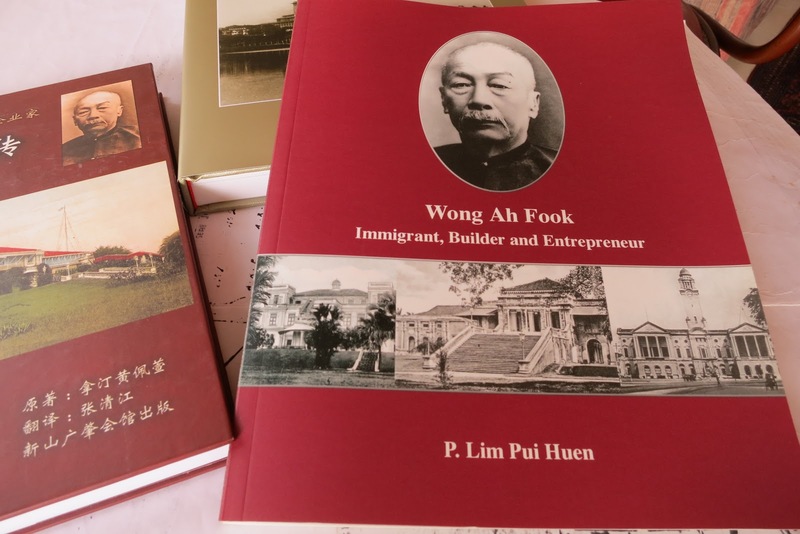 To learn more about his family heritage, Peter got the book by Datin Patricia Lim about their great-grandfather, Wong Ah Fook – Immigrant, Builder and Entrepreneur. The next morning, I took him to meet with his long-lost cousin, Dtn Pat Lim, and shared an interesting and informative time together. There was a lot to discover as her grandfather was Wong Siu Nam, eldest son of Wong Ah Fook while Peter’s grandfather was Wong Siew Qui, Wong’s second youngest son. As I observed their warm interaction, I was so thrilled and privileged to “connect” these cousins who knew next to nothing about each other until my article in NST Life & Times Travel! It was only polite to give my Editor an update on the interesting happenings and when I read her reply, I simply couldn’t wipe the smile off my face. She said: Hi Peggy, I am so happy to hear the news. Our work goes beyond writing, and when we can do something like what you did, it’s very heart-warming indeed. Keep up the good work, Peggy!